He modernized the office during his long tenure in the post, and was 'a force of nature in the forensic world,' the state's attorney general says. A prominent state medical examiner who conducted hundreds of autopsies, testified at hundreds of murder trials, and was described Monday by Maine’s attorney general as “a force of nature in the forensic world,” died Sunday night. Dr. Henry F. Ryan of Augusta, who modernized the Office of Chief Medical Examiner during his more than two decades in the post, was 78 when he died at a rehabilitation facility in Augusta. Ryan was appointed chief medical examiner in 1976 by Gov. James B. Longley and served until his retirement in 1998. Steve McCausland, spokesman for the Maine Department of Public Safety, said Monday that he first met Ryan in 1988 – and they quickly became friends. McCausland said Ryan was the driving force behind the effort to build a permanent medical examiner’s office, which opened on Hospital Street in Augusta in 1992. The new facility allowed Ryan and the two chief medical examiners who succeeded him to conduct nearly all of their autopsies in the new building, rather than having to travel to hospitals or funeral homes. “Dr. Ryan transformed the state medical examiner’s office. 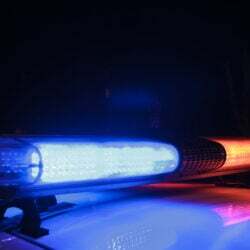 He used to conduct autopsies in the basement of the old Augusta General Hospital,” McCausland recalled. In November 2013, a plaque recognizing Ryan’s many years of service was installed in the medical examiner’s building. He described Ryan as a blend between actor Jack Klugman, who portrayed a medical examiner on the late 1970s television show “Quincy, M.E.,” and “Columbo,” a 1970s TV show starring actor Peter Falk in the role of a homicide detective. Ryan agreed to a bit part in the horror movie, which was based on a Stephen King novel and was filmed in several coastal locations that included Belfast, Camden, Thomaston and Appleton. “I can’t remember if he made it into the movie or if he ended up on the cutting-room floor,” McCausland said of Ryan’s brief role. Ryan never married and had no immediate family, McCausland said. “His family was the medical examiner’s office, the police community and his church,” he said. Ryan was a deeply religious man, and a communicant of St. Mary of the Assumption Catholic Church in Augusta. Maine Attorney General Janet Mills said Monday she was saddened by Ryan’s death. 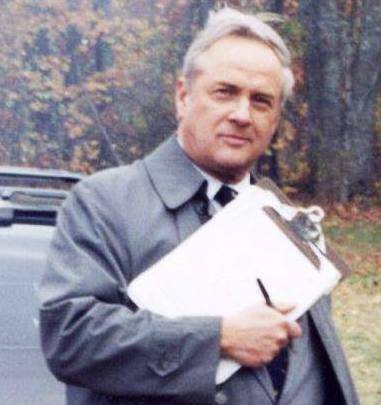 “We are all feeling the loss of Dr. Henry Ryan, who was both a personal friend to many, including myself, and a force of nature in the forensic world, having brought the Maine Medical Examiner’s Office into the 20th century before we entered the next century,” Mills said in a statement. Mills, a former district attorney for Androscoggin, Oxford and Franklin counties, said Ryan instituted procedures for crime scene investigations, exhumations and evidence collection that helped solve cases and provide crucial evidence to juries. He also wrote the laws and protocols governing medical examiner cases. Ryan served under four different governors and five different attorneys general. “His skills of persuasion and of regaling audiences with facts, figures, observations and experiences lit up a room, whether it be a dining room in a family home, a courtroom in Superior Court, or a legislative venue in the State House,” Mills said. Mills said she was struck by Ryan’s faith, which was evident at death scenes and when communicating with distraught families. Ryan was there the night that Samantha Smith’s plane crashed in August 1985 in Auburn, killing the 12-year-old Manchester schoolgirl, her father and six others. Samantha became famous as a goodwill ambassador and peace activist after writing a letter to Soviet leader Yuri Andropov and being invited to visit the country. Ryan was born in New York City and grew up in the Bronx, where he attended All Hallows High School. He received his medical degree from the New York University School of Medicine. His funeral arrangements are being handled by the Plummer Funeral Home in Augusta. Visitation hours at the funeral home will be Thursday, from 2-4 p.m. and from 6-8 p.m., with a Mass of Christian Burial at 10 a.m. Friday at St. Mary’s church.